I have been so busy shopping for and planning my visit to Palm Springs next month. As you know, I live in Calgary and the weather allows me to wear my knits till late March (may be next month too, who knows..) and it's quite awkward to be looking for summer clothes at this time of the year, especially something that is 100% cotton! I can not even imagine how hot the desert would be, but I am hoping it's bearable for an Albertan. And because I like to be a bit high maintenance even when I am on a vacation, I like to pack up my favorite beauty products and take them along with me. 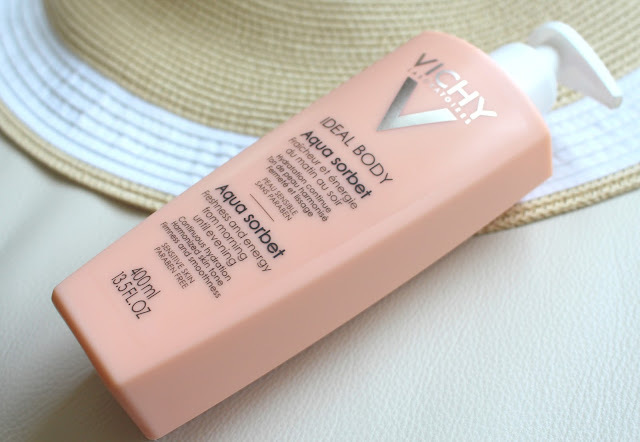 This deliciously scented, quick drying body lotion from Vichy is already in a little travel bottle and in my handbag because I love how quickly it dries up on skin and leaves it utterly smooth and supple. 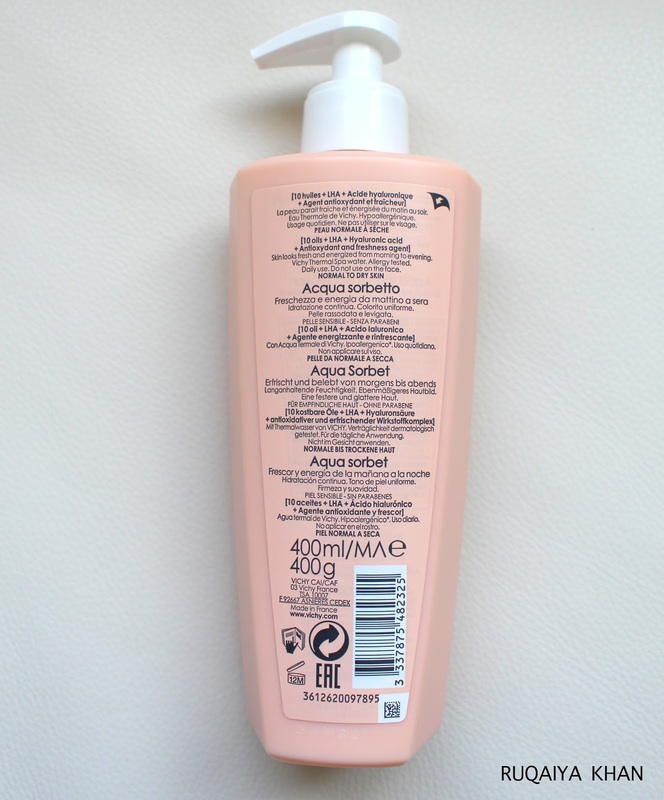 It's enriched with hyaluronic acid, which is my favorite ingredient. I wish I could bathe in it. Not only is it fantastic for adding moisture to skin, since it can hold 1000 times its weight in water, it also makes a great anti aging ingredient. I love using this after a bath and I keep it in my handbag to apply on my arms or feet. Sometimes, I look at my arms in the middle of the day, and I could see flakes of skin, so I quickly apply this and it does the job. I really like the pump bottle and the pump can be locked, so there is no leak even if I threw it in my travel case. Also, there is a minimum chance that air can get in and spoil the product. The packaging is great and the product inside is amazing. Overall, I am enjoying my fresh and hydrated skin that smells good too and without the greasy feel. 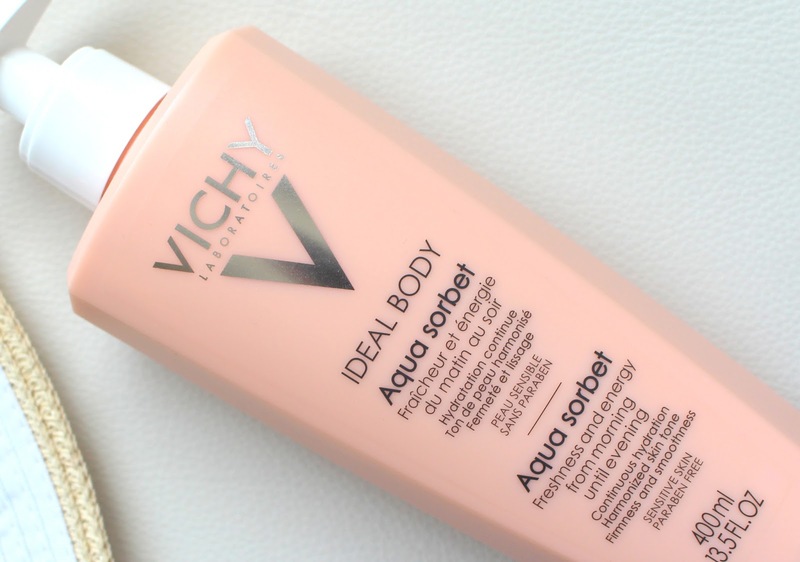 I love that it has hyaluronic acid and other antioxidants to firm the skin. My skin stays hydrated all day long. I really like it and would recommend you to try Vichy Ideal Body Aqua Sorbet. 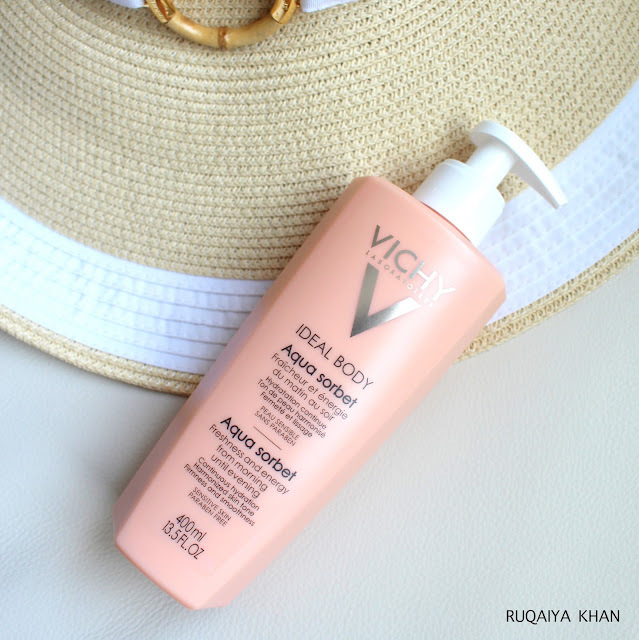 Get it form Vichy.ca or any drugstore for $22.50 for 200 ml and $29.95 for this 400 ml pump bottle.